If you’re anything like me, when you think of a road trip you think summer, sun & sand. Well, New Zealand is just as beautiful in Winter as it is in Summer. Best of all, there is barely anyone there! As not many people are travelling in winter, there is almost no traffic on the roads and it feels like you have the whole country to yourself! 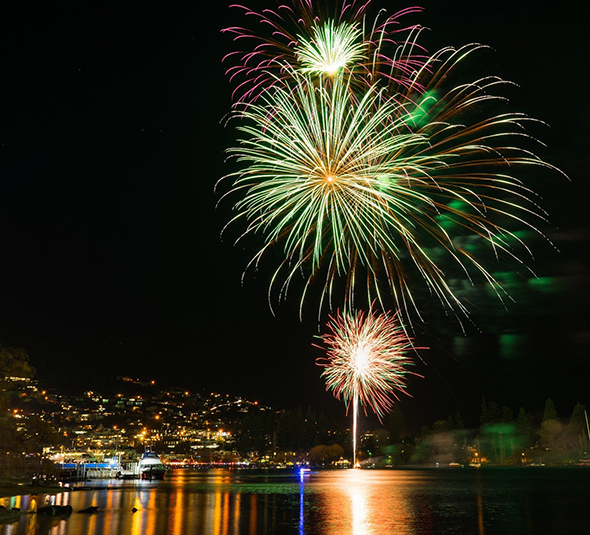 Every year, Queenstown hosts a festival to commence the beginning of Winter. It’s a celebration of music, comedy, snow and a whole lot of fun! From fireworks to races, this festival has everything to cure your winter blues. Starting from 21st June and carrying over the long weekend, this is perhaps the Southern Hemisphere’s biggest celebration of winter! 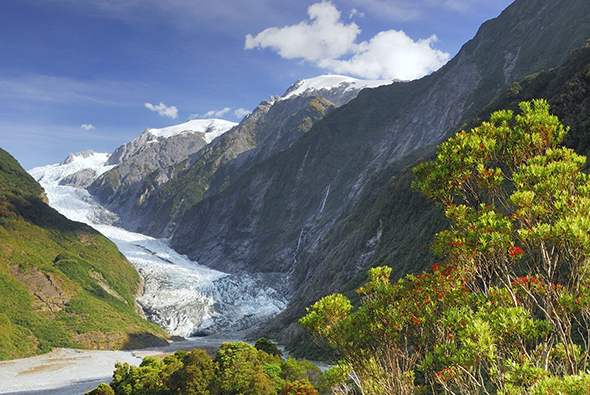 The Franz Josef Glacier is one of the South Islands most loved treasures. This World Heritage site will often see fresh snow on top of the ice during winter. If you’re a keen explorer there is are a range of 1.5 – 5 hour treks which starts in the town of the same name as the Glacier. They will take you up to 750m up to the ice monsters face! New Zealand’s slopes are some of the legends. From one of the most popular ski fields of Coronet Peak, surrounded by the Remarkables in the South, to Turoa Ski Field, the skiable volcano in the North, there is no shortage of mountains. 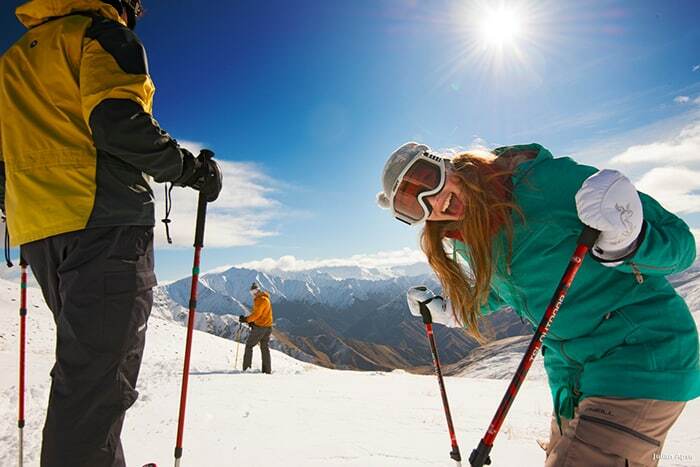 So why not grab a board or a pair of skis and have a go at one of the sports making New Zealand’s famous? What could be better than jumping into a naturally heated hot spring after a cold day? 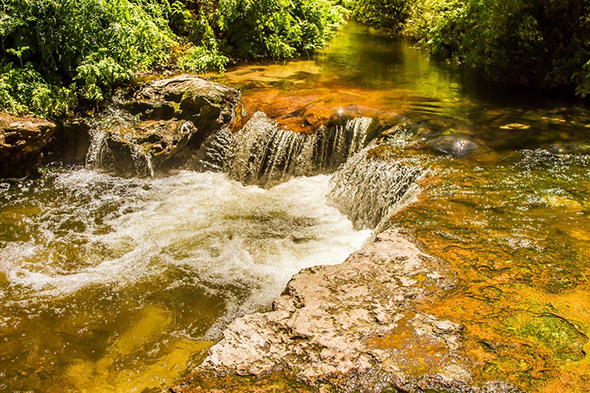 Kerosene Creek is just 35 minutes’ drive from Rotorua. It is heated from a natural spring under the Earth, which bubbles up into the water, creating warm waters in the creek. Best of all, there is no admission price! The best time to catch the widest range of whales is in winter. 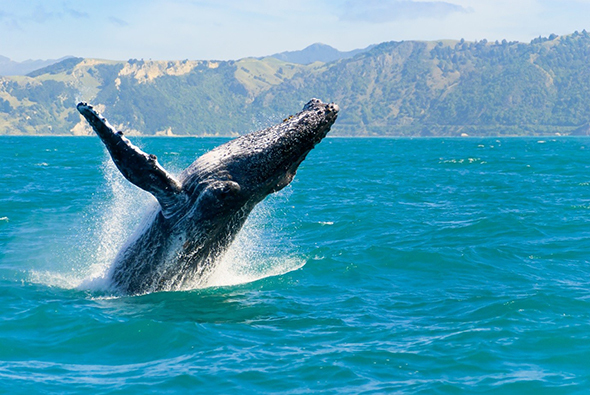 Head down to Kaikoura to see the Whales while they take a rest stop in Kaikoura as they migrate from the cool Antarctic waters, up to the warmer tropical oceans. On the perfect days, you can see the Humpback whales somersaulting on the horizon, with the crisp, blue sky of winter days which is unforgettable! Are you an adrenaline junkie? Not only does Lake Tekapo offer a wide range of the most popular activities, but it also offers activities you may have never heard of! Snow tubing is a new one for me, however, it is the most fun! How more can you embrace the snow than sliding down a giant hill?! There’s no better time to hire a Campervan and take that road trip you’ve been dreaming of! New Zealand is a perfect year-round travel destination. Snow-capped mountains, winter sports activities, and empty, open roads make winter an ideal time to hire a campervan and hit the road. 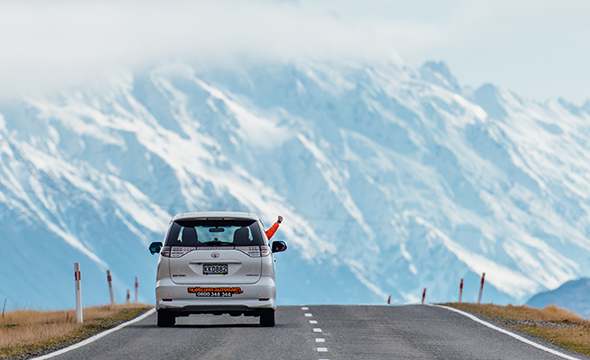 Here are some of the reasons why you should consider a winter road trip in New Zealand. When you think of New Zealand, images of snow-capped mountains and icy glaciers probably come to mind. Although spectacular year-round, New Zealand is a winter wonderland and is nothing short of jaw-dropping in the winter! Get those envious, Gram-worthy photos, and see beauty in every direction you look, with a road trip in winter. Summer is an extremely popular time for travellers to visit New Zealand. As it is a small country, it can get pretty crowded with travellers during the warmer months. If you want to avoid this, skip the peak season and visit in winter. You can do almost all the same activities (even more! ), plus you will have campgrounds and popular attractions mostly to yourself! With fewer people travelling in winter, that also means everything gets a lot less expensive. New Zealand is not always a cheap country to travel to, so if you have a tight budget, travel in winter! You can experience the country in just the same way, and avoid those peak-season tourist prices. A campervan hire in winter is usually less than $50 a day, so there’s your transport and accommodation sorted at a fraction of the price. 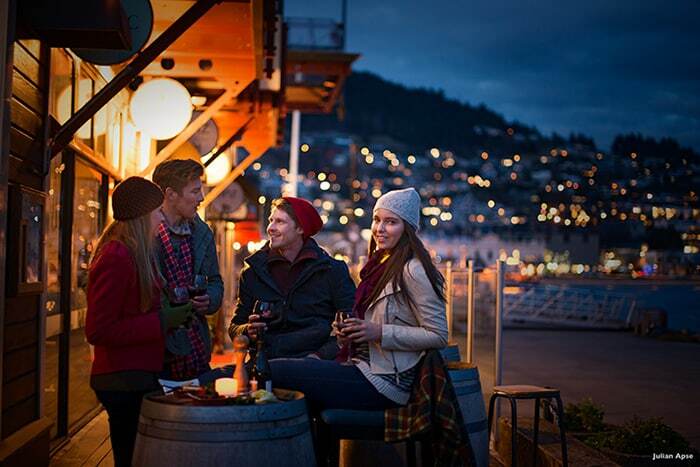 There are certain things about New Zealand that draw in visitors from all over the world. Its winter activities are one of them. New Zealand’s impressive mountainous terrain makes great sporting activities. 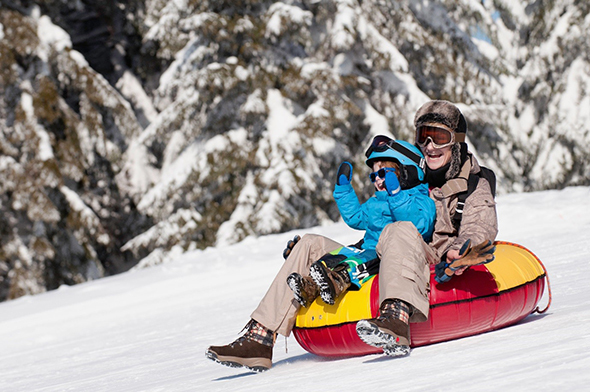 Skiing, snowboarding, sledding, and glacier hiking are some of the amazing activities you can do in winter. Worried about being cold in winter? Travellers Autobarn provides a FREE winter pack for all bookings in May to September. With a heater, extra sleeping bags, and hot water bottle, you’ll be cosying up in your home away from home at night, and out playing in the snow during the day! 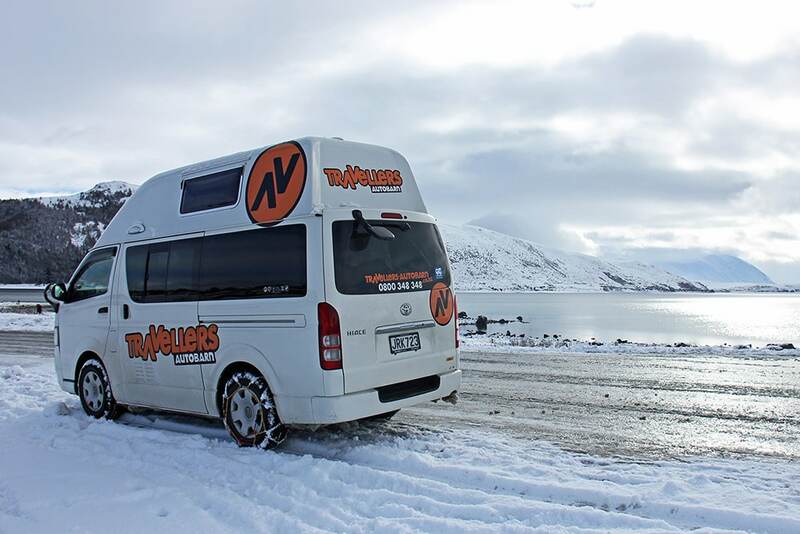 Get a quote on a winter campervan hire from Travellers Autobarn today. 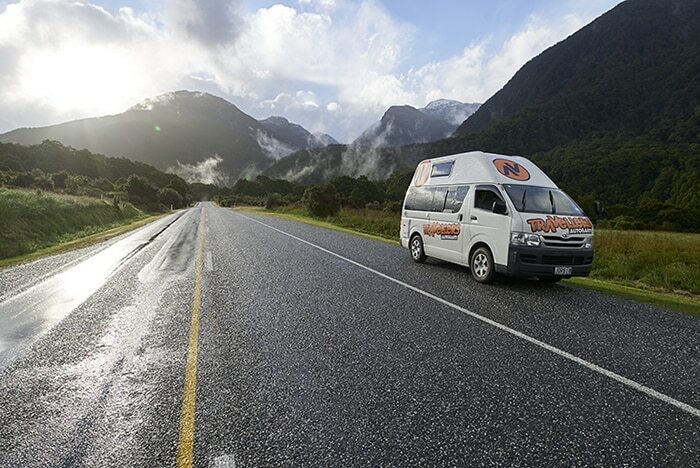 Hiring a campervan in winter in New Zealand is a great way to explore this beautiful country, but it is really important that you practice safe driving in winter. If you want a enjoyable and safe trip, it’s good to consider some tips and prepare yourself to drive to the conditions if you find yourself on an icy, snowbound or slippery road. Winter in New Zealand runs from June to August, but quite often you’ll get snow around the mountains well into September. If you need an updated road report or additional information, call 0800 44 44 49 or visit highwayinfo.govt.nz. Do not drive at night time or if the visibility is bad. Plan your driving for the middle of the day or in daylight hours and if travelling long distances at a time, make sure you take lots of breaks. Before you set off make sure your windows are completely clear of overnight condensation, and if possible wait until the sun has warmed up the roads and melted the ice. Watch out for corners of the road that may not have seen the sun yet! Be prepared for snow by carrying tyre chains with you. Make sure that you know how fit and use them before you set off on your road trip. It’s worth buying a jerry can and keeping at least half a tank of petrol in your car in case you get diverted onto another route due to the weather/ road closures. Make sure you pack lots of warm clothes with you. It will get cold at night and campervans can get pretty nippy in the evenings. We supply free winter packs for all our customers travelling with us over winter, but it’s worth bringing some extra blankets too just in case. It may also be worth hiring a heater for your campervan as well which you can use at powered sites. It’s really important to drive to the conditions you are in, especially when there is snow and ice. Drive slower than you normally would, it takes less than a split second to lose control in wet or icy conditions. Don’t do any sudden turns or break heavily as these movements can cause you to skid. If you need to break you should pump the break pedal in short rapid bursts to avoid skidding and sliding which can happen if you press long and slow. Keep a greater distance between yourself and other drivers because it takes longer to stop on slippery roads. Double the two-second rule in winter and always keep a safe distance between yourself and the car in the front. When there is fog, rain or snow drive with your dipped headlights on so that others can see you better. As well as being aware of other drivers around you, keep a safe distance between yourself and maintenance vehicles helping to keep roads open. Do not pass these vehicles until you are instructed to – these crews have experienced knowledge of their region so please follow their instructions and advice at all times. Whilst your driving in New Zealand you will see electronic message signs at roadsides, these will provide you with up-to-date warnings on current driving conditions, such as road closures, ice and snow. The signs will be blank if there are no restrictions. Keep your radio on as radio stations will keep you up to date with local road conditions. New Zealand is a spectacularly scenic country so take your time and enjoy the views. Distances between places may look short on a map but in fact the winding roads in new Zealand mean that journeys can take longer than you anticipated. Take lots of breaks to rest and revive and enjoy your road trip! Really between May to September the goal should be stay at powered campsites so that you can use the heater during the night – it is just like camping in front of a fire – however inside a van & you won’t even feel the cold. Travellers Autobarn has a partnership with Kiwi Holiday Park so you end up saving a bit too! Warm slippers – thermals – thick socks – just imagine you be off skiing – you require the same clothing. A warm water bottle, as well as a decent sleeping bag, are a good idea too plus an umbrella in case of rain fall! Travellers Autobarn provides you with free heaters, water bottles as well as extra sleeping bags between May to September for free – so that’s a plus! In some areas you might require snowchains so it is best to do your research – and if required – hire on from your campervan provider on pick-up. It is also a good idea to stay flexible and keep an eye out on the weather; the sun still shines 😉 An excellent weather service provider is MetService. New Zealand offers so much variety when it comes to winter – hiking, skiing, hot springs – they have it all. It is all about choosing the right activities – for skiing we recommend Coronet, Cardona, Treble Crone – of course there a lot more out there. Hot springs wise areas like Rotorua and Hammer Springs are amazing! Travellers Autobarn also provides a FREE winter pack to all customers travelling between May and September. This includes extra sleeping bags, hot water bottle, and a heater to keep you cosy at night. 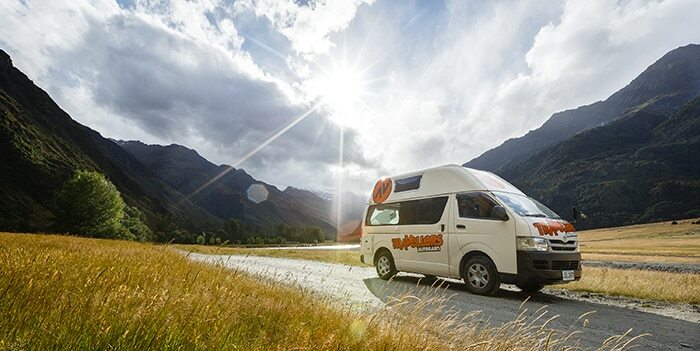 Everyone wants to see New Zealand in summer – between November to March New Zealand is the #1 campervan holiday destination in the world and holidaymakers from all around the world are willing to spend big $$$ for it! Campervans go for as little as $29/day between May to September – that’s right $29/day – a meal will cost you more so it’s a great time for bargain hunters! 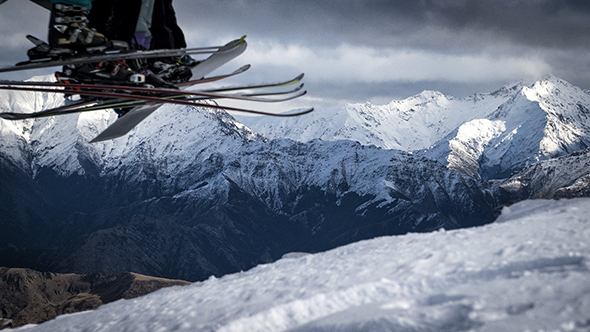 For all those winter freaks out there – New Zealand is a top location for winter sports – skiing/snowboarding – you name it. Top locations include Coronet, Cadrona, Treble Cone, Mt Hutt and Turoa! Park your camper on a powered campsite, heat it up and cook some delicious “Gluehwein” – it’s like a winter party in your campervan! There is nobody around – well except in the snowfields – so you can really relax and chill out – you will love it. You can get some of the most amazing imagery during winter – especially for those photography fans out there. The mountains & lakes will take your cold breath away! Especially if you are from Europe you love hot springs – there is nothing better than sitting in a hot pool in cold weather – snowing – and winter scenery! Areas like Rotorua and Hamner Springs are highly recommended! Let’s get ready for your winter campervan adventure with Travellers Autobarn – between May and September all campervans will be provided with FREE heaters, hot water bottles and extra sleeping bags!